BMW’s first electric-vehicle, the new i3, will make its first-ever public appearance in Cornwall at tomorrow’s Fast Forward your Low Carbon Transport. The two-day business event, organised by ecodrive in partnership with The Energy Saving Trust and Unlocking Potential, begins tomorrow (December 4) at the Academy for Innovation & Research at Falmouth University and continues on December 17 at The Eden Project, and is free to attend for eligible companies. 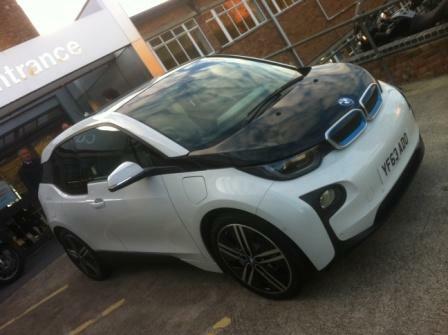 Tim Bryant, commercial director at ecodrive, explained: “We are thrilled to confirm that BMW will be bringing their revolutionary new i3 electric car for businesses to view. To view an e-brochure for the event click here or to reserve a place email ecodrive or call 0845 466 3835.